I am being forced to write this against my will, but here goes… Tomorrow I will be leaving Samoa after such a short time. Although I haven’t been here long, I feel like we’ve done so much—despite today when Phil, Matthew, and I played gin-rummy for like 5 hours. It has been pouring rain all day which is a much-appreciated break from the past two hot, hot, hot days. It has been really fun to be in this place with the people that I have seen pictures of and read stories about. Riding the bus to the FaoFao Beach Fales. The bus offered a scenic tour of the island and it was interesting to ride with native Samoans. I liked how they stopped to drop each person off at their house. I wish they did that when I lived in San Francisco. Staying in the beach fale with Matthew on a cozy double bed—almost one-ups my mom, dad, and Matthew staying in the honeymoon suite. The water was beautiful, I fell in love with a cat there, and Matthew found a starfish. 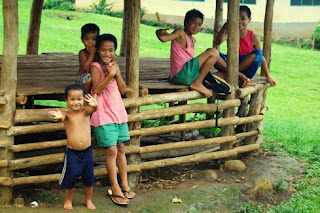 Waving to beautiful Samoan kids, and saying “Bye-bye!” repeatedly, despite Matthew telling me not to. The 685 New Zealand dance group at the McDonald’s Variety show was hilarious… and hot. The fire-dancing was also cool, but frightening when one boy’s body caught on fire. Shopping and walking all over Apia with Phil. It was hot. It’s embarrassing how much I was sweating. Eating fish and chips twice in 12 hours. The Miss Samoa Pageant. The outfits, the talents, and the interview questions were all awesome. Plus, the female impersonator that sang as both a man and woman was amazing. Learning to take cold showers. Observing Samoan nightlife outside of On the Rocks and V-Bar. Facing my fears and going down the sliding rocks after some 7-year-old boys talked me into it. Meeting and eating Indian food with a fun group of Peace Corps volunteers. Getting drinks with Supy, Briony, Koa, Dan, Erin, Phil, and Matthew and listening to their funny stories about Samoa and being a volunteer here. Samoan margaritas are yummy. Eating a breakfast of Weet-Bix , pumpkin jam, and sweet bread. Nap time every day. For like 3 hours. Super! It’s been exciting to be a part of Matthew’s life in Samoa. I’m sad to be going home, but I can’t say that I’m sad to sit in business class! Awoohoo! Happy birthday Zac Grow! Matthew feeding the cat at Faofao. Kids I saw from the bus. 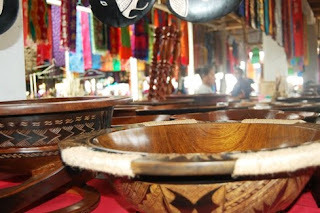 'Ava bowls at the flea market. 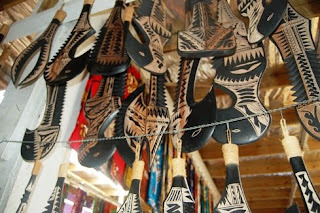 Nifo'oti clubs at the flea market. 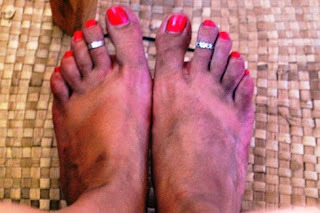 Dirty feet after walking around Apia. 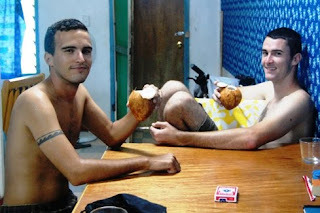 Matthew and Phil drinking niu. 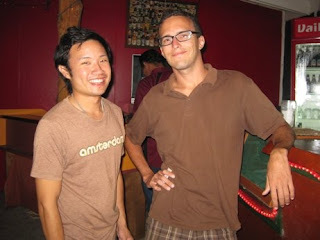 Supy and Matthew at Zodiac. 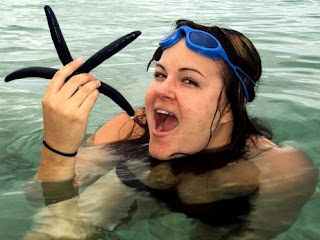 Hey Amanda, it is so fun to read about your experiences there. Feels like we all know Matthew's friends! And now you really do. I can't believe you're heading home tonight. If it felt fast for me, I'm sure it flew for you. So sad. Matthew, I agree with "anonymous." I'm hooked, too. Keep writing. It is so fun to get to see into your world like this! 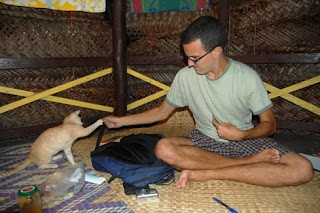 This is a bit random, but I've been checking out this blog every once in a while ever since I applied to the Peace Corps. Although I'm now serving a year of AmeriCorps, it's still fun to read about the happenings in the life of a PCV. What really sparked this comment though is that I actually recognized your sister- we worked together for a few summers at the Logan pool. Just saying- it's a small world. :) Keep up the excellent blogging!